SeeItFit | See. Shop. Share. 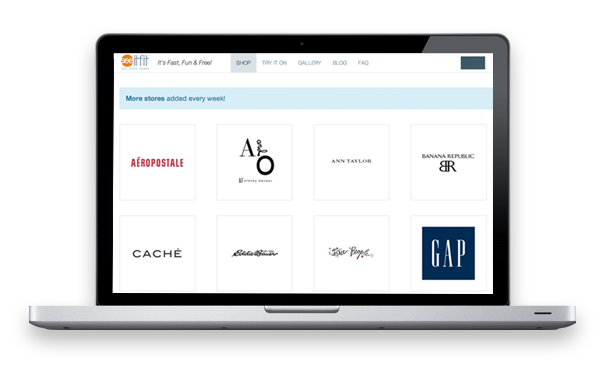 With SeeItFit, your online shoppers see the items on themselves before they buy. Email us at info@seeitfit.com or click below to request a demo. Upload a photo of yourself or use our model. Shop, “try on” what you like & create outfits. Share your outfits with your friends and buy them online. Why add a SEE button to your apparel site? Customers are buying more and sharing more with SeeItFit. SeeItFit increases time on site and social sharing. Customers purchase with increased confidence, reducing returns. Real-time feedback on what customers are trying on and sharing. Increased time on site, Reduced Returns, Easy Integration, Real-time Feedback.